Share link: 2000details. See also: basic 2000 city list, 2000 graphics, 2000 map. Millennium Marijuana March. Cannabis 2000. Alphabetical (by city) link list of reports, photos, audio, video. The hundreds of alphabetical (by city) links to rally reports, photos, videos, and audio clips are in the following sections after this incomplete summary of rally numbers. This numbers-only list below, and the list of email addresses in the following section, were both regularly updated by Dana Beal and posted to an MMM email list. 22 countries on six continents. 104 cities with contacts (see farther down). Albuquerque, New Mexico, USA, 1000. Amherst, Massachusetts, USA, 1000 (3 arrests). Auckland, New Zealand, 3-4000 over the day, 1500-2000 peak. Buffalo, New York, USA, 12. Camden, New Jersey, USA, 75. Des Moines, Iowa, USA, 12. Dessau, Germany 50 of 500. Edinburgh, Scotland, UK, hundreds dropped by stall. Grand Rapids, Michigan, USA, 250. Kansas City, Kansas, USA, 10. London, England, UK, 20,000 on the march, 60,000 at Festival. Los Angeles, California, USA, 200. New Orleans, Louisiana, USA, 500. New York City, New York, USA 15,000. Oklahoma City, Oklahoma, USA, 20. Oslo, Norway, 2800 marched, 3000+ rallied, 19 arrests. Paris, France (banned on order of the Prefecture). Portland, Oregon, USA, 350 marched. 700 at the festival. Raleigh, North Carolina, USA 200. San Francisco, California, USA, 1500. San Marcos, Texas, USA, 150. Santa Barbara, California, USA, 200. Seattle, Washington, USA, 3500 marched. St. Louis, Missouri, USA, 250 marched, 500 rallied. St. Petersburg, Florida, USA, 500. Traverse City, Michigan, USA, 50. Vancouver, British Columbia, Canada, 1000. Washington, District of Columbia, USA, 150. To avoid being mistakenly deleted as spam please put GMM or MMM in the subject-title of any GMM email sent to the addresses below. Also, substitute @ for "at" in the email addresses below. "at" stops spambots from harvesting addresses. Most of these email addresses from 2000 probably no longer work. cures-not-wars.org/mmm/wwca.html - city list and reports compilation. August 16, 2000 archive. See index by date. Linked pages are also archived. www.worldcamp.org/mmm1_41.htm - see Dec. 24, 2002 archive, and the index by date. angelfire.com/rnb/y/links.htm - November 6, 2001 archive. See index by date. Many of the linked pages are archived too. Some of the pages linked below may no longer exist or they may no longer have 2000 MMM info. See the above archived compilation. Links below can be switched with the applicable archive link. Amherst, Massachusetts, USA. Extravaganja Draws A Crowd. Anchorage, Alaska, USA. PUB LTE: Show Support For Hemp March. Austin, Texas, USA. Hundreds Call for Legalization of MMJ In Texas. Demonstrators Urge Marijuana Legalization. MMM March -Austin Texas. Photos! Belfast, Northern Ireland. Drugs March Takes To The Street. Birmingham, Alabama, USA. Legalizing MJ - Medical Pot Sparks Park Rally. Boise, Idaho, USA. Rally Promotes Marijuana, Hemp. Chico, California, USA. Nurturing Prop 215: Cohasset Father Butts Heads With Police. 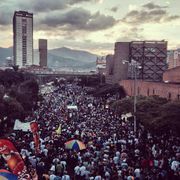 MMM rally description in last part of article. Christchurch, New Zealand. Call to Relax Cannabis Law. Copenhagen, Denmark. 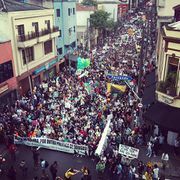 COPENHAGEN Marijoana march. Denver, Colorado, USA. Libertarians Speak Against State's Drug-War Sentencing. Detroit, Michigan, USA. Tremendous Response! Dunedin, New Zealand. NORML Aotearoa New Zealand MMM Report. Eugene, Oregon, USA. What Do We Want? Drug Peace! Michigan Attendance High At Marijuana March. London, England, UK. Cannabis Campaigners on the March. Cannabis 2000. Dust settles after worldwide cannabis explosion"
Los Angeles, California, USA. Report on Events of May 6-7. David Crockett Williams report. Montreal, Quebec, Canada. Pot Advocate Announces Creation of Federal MJ Party. Nimbin, Australia. Nimbin Ready For Mardi Grass. 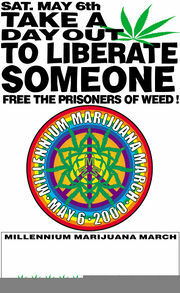 The Millennium Marijuana March, Oslo 2000. Freddiefreak report. Philadelphia, Pennsylvania, USA. Liberty Bell March. Portland, Oregon, USA. Hemp TV: Portland, OR Millennium Marijuana March (May 6, 2000). VIDEO! Prague, Czech Republic. 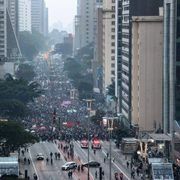 Demonstration in Support of Cannabis Legalization. Redding, California, USA. Parade Pushes Pot Law. San Francisco, California, USA. Pot Rally Draws Crowd At UN Peace Plaza. Hemp Fans Urge Freedom for the Fettered Weed. Santa Barbara, California, USA. Marijuana March Unites Advocates. http://www.hotbands.com/reports/mmm1.htm --Photos. Click to enlarge. St. Louis, Missouri, USA. Thomas Jefferson Hemp Fest- St.Louis. Tampa and St. Petersburg, Florida, USA. 9 Arrests At Pot Protest. Toronto, Ontario, Canada. 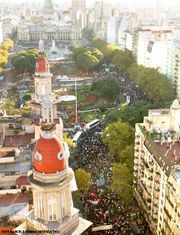 MILLION MARIJUANA MARCH. Many Photos. Some can be clicked to enlarge INSTANTLY (since the bigger photos are downloaded at the same time as the smaller photos). 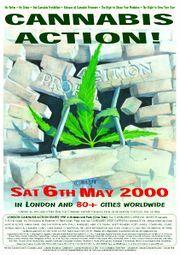 Toronto Marijuana March - Saturday May 5th 2001. Turku, Finland. Pro-cannabis demonstration in Turku a big success. Photos! Click photos to enlarge. Washington, D.C., USA. DC May 6 Rally. Pro-pot protesters swarm the US capitol. Photo! Wellington, New Zealand. MMM Auckland & Wellington NZ Report. Wellington is second article on the web page. Zagreb, Croatia. Croatians, Czechs Toke For Legalizing Marijuana. This page was last edited on 10 January 2019, at 14:02.